One of the most popular Japanese fashion blogs in English, offering thousands of fashion photos sorted into street clothing, bags, shoes and fashion spots. It also features a online store and fashion consulting service. Loic Bizel, French, 36 years old, has been working in the fashion industry in Japan for the past 11 years. He has been dealing with the Japanese fashion market “from the inside”, being involved in wholesale and retail activities, as well as consulting for foreign brands and Japanese companies. 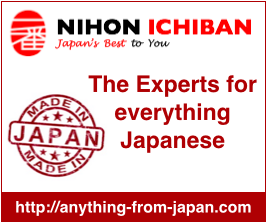 His experience and connections with the fashion distribution, together with his knowledge of the retailers will therefore help you to tackle the Japanese market in the right way. Since 2006, Lebiz Tokyo has been developing exclusive Benchmark and Trends Reports for clients from all over the world. Loic Bizel has also been nicknamed by the press as a “cool hunter” and a “trendspotter” ! Even though Loic prefers to describe himself as “the foreign eyes of Japanese Fashion”.